To Celebrate the 20th Anniversary of the Square Meaters Breed the NSW/ACT Breeders Group as hosts of the feature breed show used this special event to draw attention to melanoma awareness. 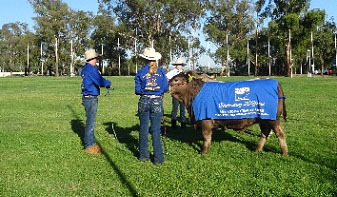 The Breed Group decided to offer a Charity Steer for auction as part of the Canberra Steer Competition. 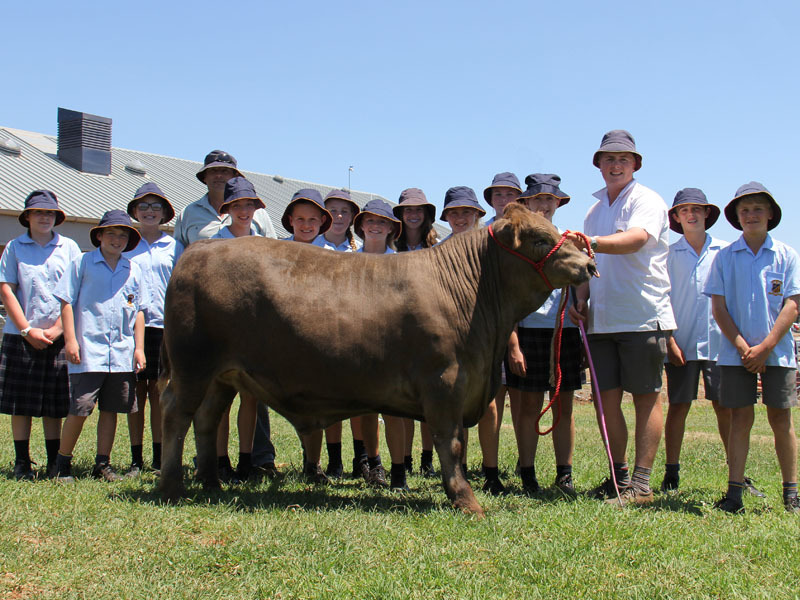 The steer donated by Javid Square Meaters, was prepared by St Johns College Dubbo’s cattle team. This group of dedicated students have an enviable record in the preparation of steers for hoof and hook competitions. 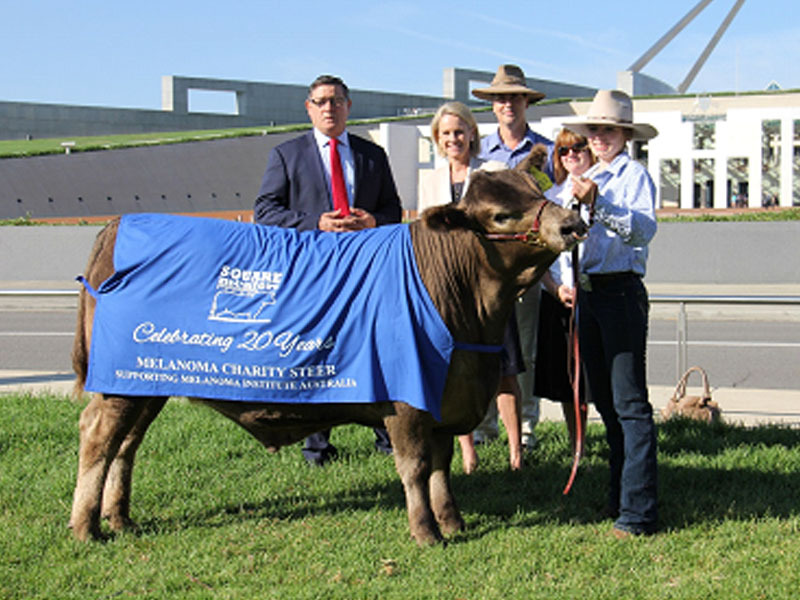 Prior to the auction the steer was presented on the forecourt lawns of Parliament House to The Honourable Senator Fiona Nash, Minister for Rural Health and The Hon John Cobb, Member for Calare. 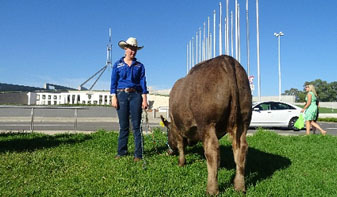 This was the first time a steer has occupied the lawns of our National Parliament. Max was bought at auction by The Rockpool Foundation for $6,000. This, together with the sponsored support from Novartis Oncology, Vic’s Meats and friends of Square Meaters provided a total $9,470. 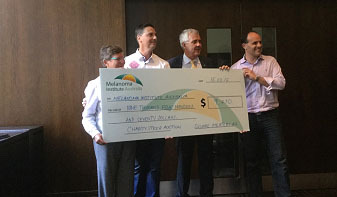 A cheque for this amount was presented to the Melanoma Institute Australia. Max also won Reserve Champion Steer on the hook with a score of 91.5 points. Max also won Reserve Champion Steer on the hook. Max on the forecourt lawns of Parliament House. Presentation of the Cheque to the Melanoma Institute Australian by Rockpool Foundation and Square Meaters NSW/ACT Breed Group.